Know where your path is leading you, and have a roof over your head - the Elberadweg handbook is full of important information for cyclists. The 21 x 15cm landscape book will fit in any handlebar bag and features almost 560 cyclist-friendly accommodations between the Krkonoše Mountains and/or Prague and the North Sea, complete with addresses and telephone numbers. 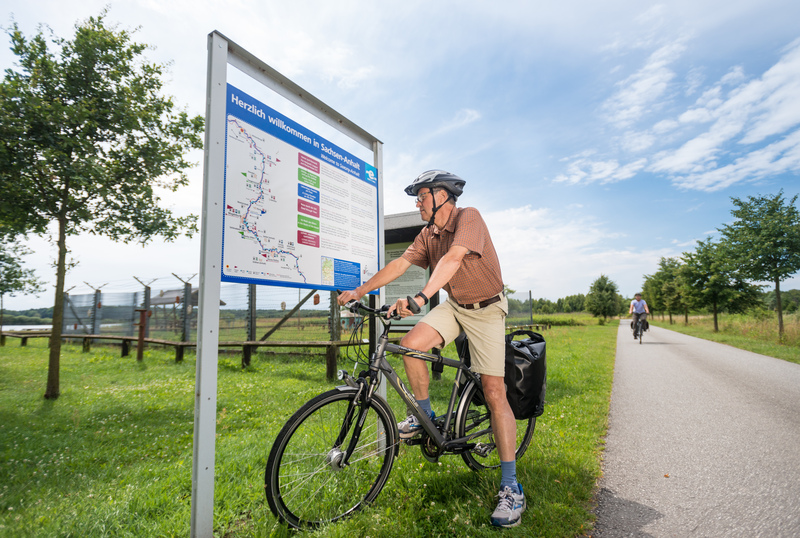 Also included are maps showing the course of the cycle route, information about sights and ferry crossings, and much more. If you get into trouble, it also provides information on repair shops.